After I updated Hkashop from 2.6.0 to 2.6.1 all stars below and above the product disappeared. You're using an override for the HikaShop front-end CSS. 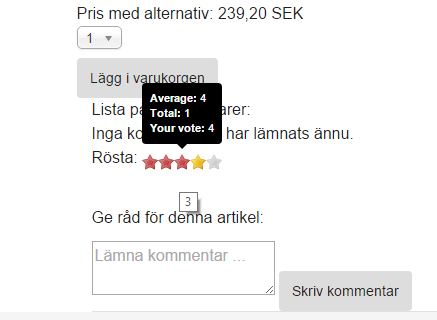 The voting system received few modifications which require some CSS rules. I coudn't modify CSS ovverride file via joomla, it showed 404 error. So did it via FTP and it worked fine. I have the same problem, where exactly is teh CSS overide file i need to update? Last edit: 3 years 2 months ago by dennisg. My config in Hika with the CSS looks like this for the front end CSS. So dont now what to do? 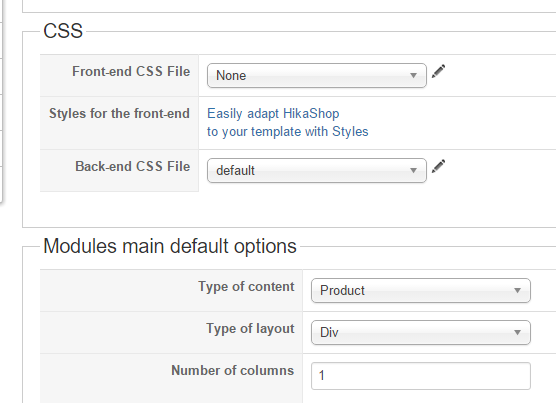 If you do not have any HikaShop CSS file for the front-end ; it would explain why you do not seen any star. Please read my post above about the required CSS rules. That is what it looks like after a clean install with templazas biksport quickstart with hikashop and the stars are there until upgrading to 2,6,1 and installing hikamarket. Please add the CSS rules I gave in the post above into your template CSS file. Thanx for the help Jerome, i got i to work but i had to change the url for the star.gif to /media/com_hikashop/images/star.gif for them to show. but i still wonder why a "clean" install get that error? Because it's not a "clean" install. 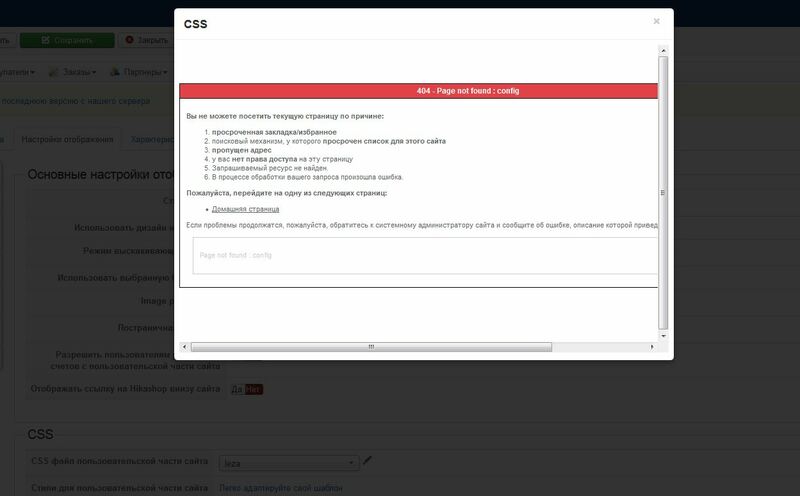 Your template quick start package disables the frontend CSS file of HikaShop so that the template can define all the CSS of HikaShop. However, with new versions of HikaShop (and new/improved features), we add new CSS code in the frontend CSS file of HikaShop. And your template didn't add these changes on their end and since they're disabling the frontend CSS file of HikaShop, you get missing bits of CSS necessary for the proper display of the new/improved features). had the same problem, and it worked adding that code to the Front-end CSS File.